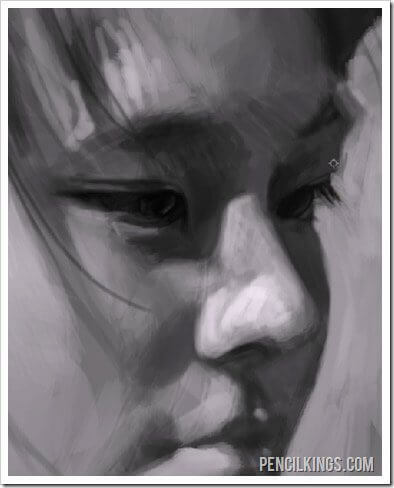 Here is the final painting for this painting portraits tutorial. 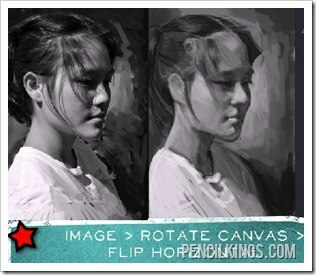 Start off this painting portraits tutorial by flipping your canvas horizontally. This helps your brain to readjust to the image, almost like you are seeing it again for the first time. 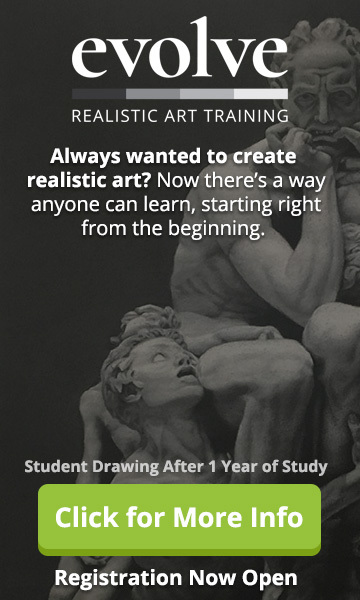 This is important to do, especially when it is so easy to flip the canvas on the computer because it will allow you to see mistakes that may not be apparent because you have been looking at the image for too long with the same orientation. Sycra has created an action for this so that he can flip the canvas with one shortcut key. 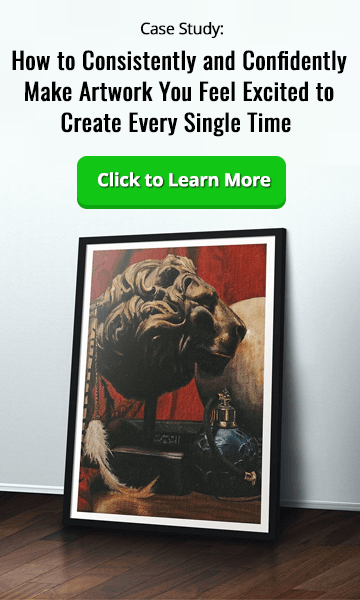 This lesson isn’t going to cover how to create actions in Photoshop, but you can access the Photoshop help on this topic, and find the actions window by going to Window > Actions from the top menu in Photoshop. 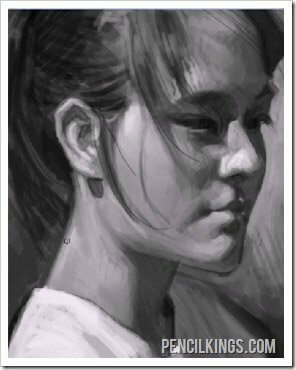 Throughout this painting portraits tutorial, you may notice that the brushes palette is being opened from time to time. This entire lesson only uses one brush, so when the brush palette is opened it’s so that the brush size can be changed. If you are using a tablet try out the second button function on your stylus pen – this may bring up the brushes palette. Alternatively to change the brush size you can use the keyboard shortcut keys “[” and “]” to increase or decrease the brush size. In general it’s a good idea to use a larger brush for areas that need a lot of color, and then to only use the smaller brush for areas that really need fine detail like individual strands of hair, or to paint in the eyelids. The eyes are one of the most important features of any portrait, so it’s really important that you get this area looking correct. If you’re trying to get a good likeness of someone it’s firstly the eyes, and secondly the mouth that will convey the likeness. 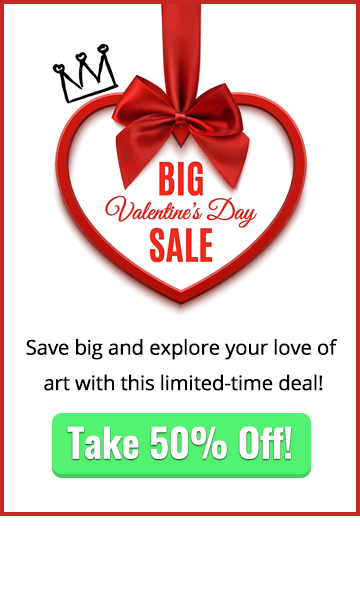 In order to get all of the fine detail required in this area you will need to really zoom in on the eyes both for the reference and for the painting so that you can see exactly what you are painting. When you are zoomed in, remember to also zoom out periodically so that you can get a better idea of how the whole image is working. It’s easy to get lost in the fine details, but often the small details will be lost once you zoom out. This isn’t necessarily a bad thing, but you can spend a lot of time with little details that may not really be seen in the final image, so you’re really just wasting time. 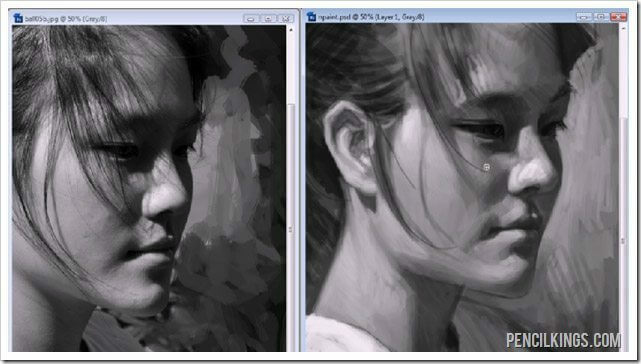 So that’s it so far for our painting portraits tutorial. See you in the next one!